Sitting in the direct sun with no shade is not a great way to relax and enjoy the great outdoors. With an RV awning you get the protection of shade and the pleasure of being outdoors. At Dyersonline.com we have everything you need to get your awning working well. We have replacement parts, lights and replacement awning fabric. 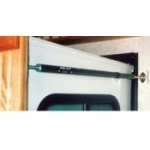 We even carry awning transport clips that allow you to safely travel with you awning attached. Another excellent accessory for your awning is a gutter. The awning gutter easily snaps on to the valance of your awning with the valance fabric fitting right into the gutter. Also, we carry an awning accessory system which gives you the opportunity to hang multiple accessories on your awning. You can install light fixtures, a sunscreen, screen rooms or any other hanging accessory all with this simple system that slides right onto your existing awning. You can also install accessories to protect your awning. 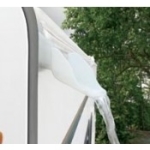 There is an RV awning protection kit that slides onto your awning fabric to protect it from the elements. Make sure to remove the protective cover once on the road and never install the cover while your fabric is wet or it may mold. Another protective accessory is the screen door awning saver. Slide the plastic cover on the corner of the screen door to prevent sharp edges from damaging the awning fabric. 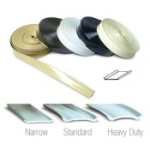 At Dyersonline.com we also carry several products to repair tears or punctures to awning fabric. Accidents happen and when they do, having an emergency supply of awning repair tape is a great way to avoid stress. Easily patch up the hole with minimal trouble and move on with your day. For smaller holes and an invisible sealant liquid vinyl repair is the solution. For a clear adhesive that will bond together tears and small holes get VLP liquid vinyl repair. At Dyers online we want to help you protect and repair your investment. Let us show you items that will prevent problems, renew damaged items, and spruce up your home away from home.